What dog doesn’t love jerky? Teton is a big fan. 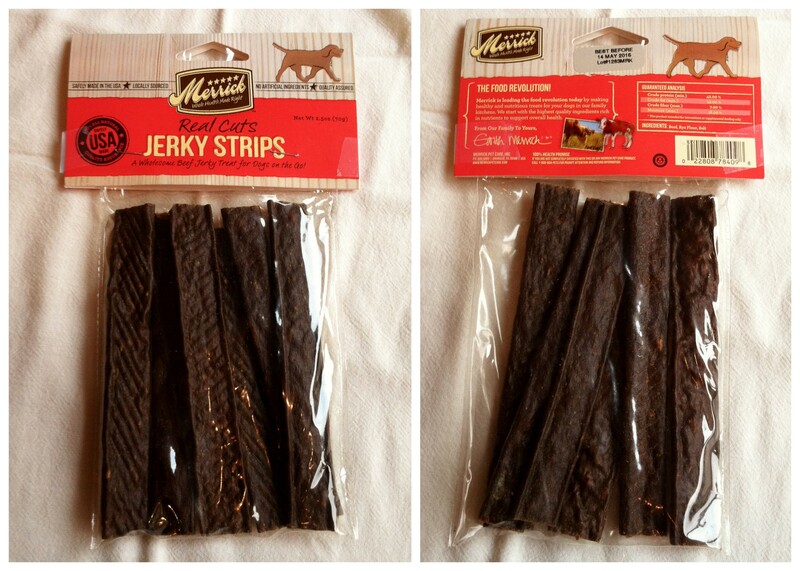 So, when our friends at Chewy.com asked if we’d like to review Merrick’s Real Cuts Jerky Strips, of course I said yes. 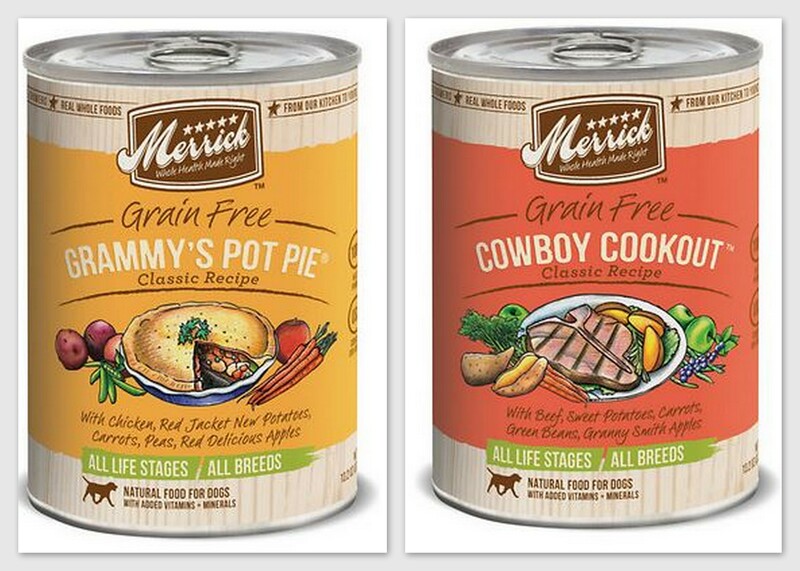 I’ve purchased Merrick treats for Teton since he was a puppy because I like that they are made in the USA of high quality ingredients. These are some of Teton’s favorites that we typically have in the house. 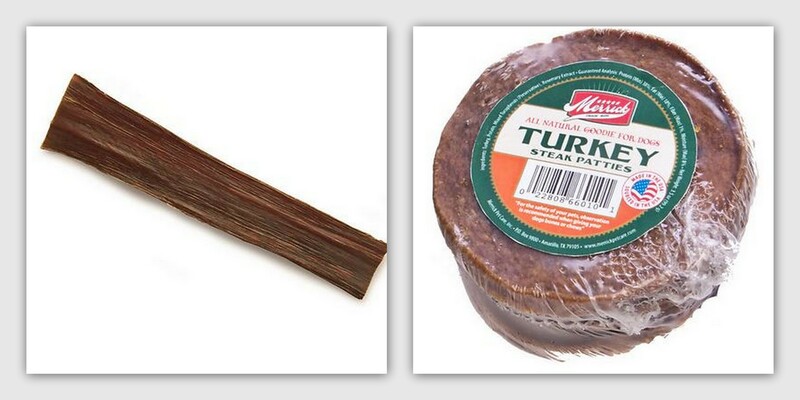 Real Cuts Jerky Strips are very similar to both the Texas Taffy and the Turkey Patties. A 2.5 oz bag will run you $5.99 and you can choose between three flavors – beef, chicken, or beef liver. While they look like they might be a softer jerky treat, they are actually pretty hard. However, I had no problem snapping them in half so they could certainly be given in smaller pieces as well as in an entire strip. 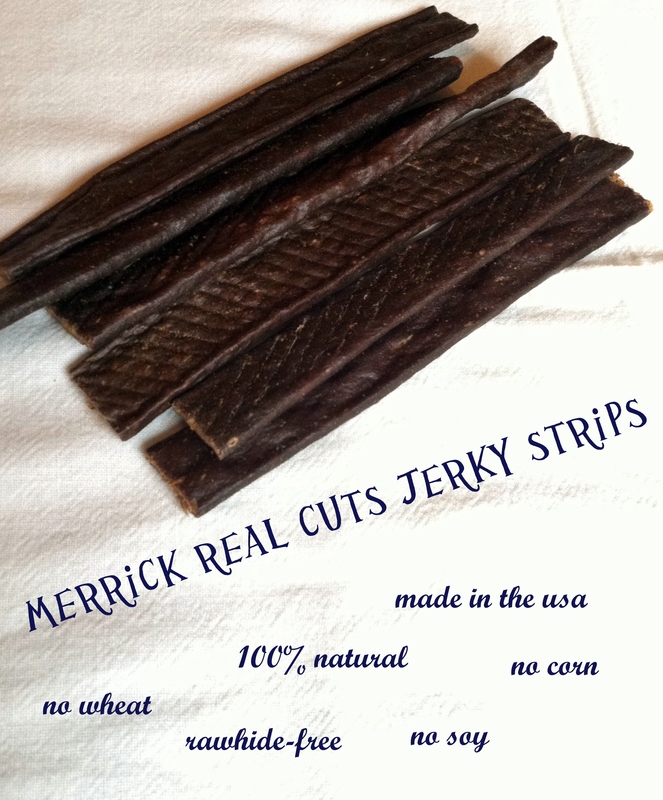 Merrick Real Cuts Jerky Strips have only a handful of ingredients in them. 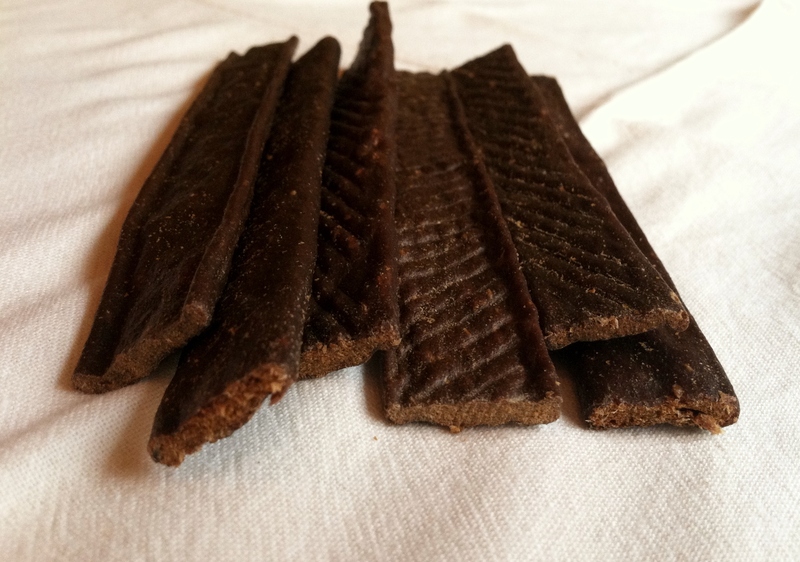 We tested the beef flavor and it’s made with beef, rye flour, and salt. Boom! 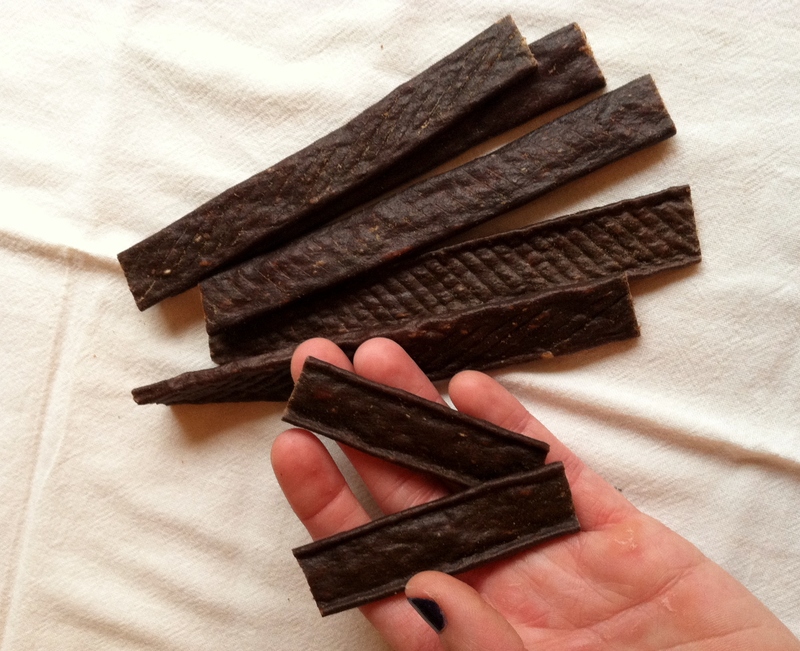 Other cool things about these Jerky Strips? They’re corn-free, wheat-free, soy-free, and rawhide-free. So, if your dog has allergies this may be a good option for them. Check out Chewy.com’s entire Merrick assortment by clicking here. Now, if you’ll excuse me, I have a hungry puppy who needs feedin’! Posted on September 17, 2013 September 17, 2013 by Shannon	This entry was posted in Treat Jar. Bookmark the permalink.